Do You Have The Proper License To Operate Amateur Two-Way Radios? 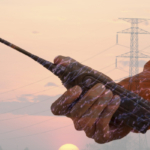 Highland Wireless: Providing In-Building Distributed Antenna Systems (DAS) > Blog > Blog > Do You Have The Proper License To Operate Amateur Two-Way Radios? In the United States you must have a license from the Federal Communications Commission (FCC) in order to legally operate amateur two-way radios. The American Radio Relay League (AARL) is in charge of matters regarding amateur radio and ham radio, such as providing the resources necessary to educate, license and assist individuals so that they may successfully operate using radio communication. The General Mobile Radio Service (GMRS) is open for use to individuals with the proper licensing. In 2010, the FCC made a proposal to allow individuals to operate a GMRS radio without an individual license, but this proposal is still pending. Each license includes management of a system that contains one or more transmitting units or stations. There are rules limiting the availability of new GMRS systems in order to keep the system open to individual users. Similar services include the Family Radio Service (FRS), Multi-Use Radio Service (MURS), and Citizens Band (CB) Radio Service. In order to apply for a GMRS license you must be 18 or older and you can’t be a representative of a foreign government. Once you have applied for and received a license anyone in your family, regardless of age, is legally allowed to operate and use the system. If your GMRS system was licensed before July 31, 1987 it is eligible to be renewed, but this does not include any serious modifications or updates to the system. 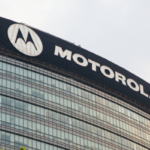 Two-way radio licenses are good for 5-years before they must be renewed. The renewal process should take place within the last 90 days before your old license expires. After your license expires you are required to get a new license in order to continue operating your radio. What Does A GMRS System Include? A GMRS system includes a station operator, mobile station(s), and may also include land stations (one or more). A station that includes no antenna and is located no more than 20 feet above ground defines a small base station. The station may be mounted to a tree or elsewhere and transmit 5 watts ERP or less. It’s important to note that some types of stations are restricted to using certain channels. With most two-way radio systems you will be able to communicate between 5 and 25 miles, although certain systems allow you to communicate over much vaster distances. Communication must take place within the US, including the District of Columbia, the Caribbean, and Pacific Insular areas. 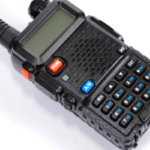 Typically, communication occurs between one mobile relay station (also known as the repeater) and a connecting GMRS system with the proper licensing. Manufactures may receive certification through GMRS, FRS, or both. If a radio is marketed as FRS/GMRS this means one of two things. One, some channels may operate using both services. Or two, you may communicate with stations in other services while using the device. “FRS/GMRS” or “dual-service radios” are widely available. 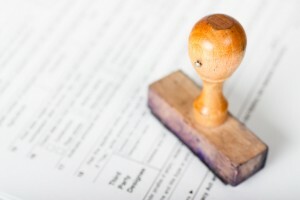 Each comes with a manual or label that will detail which services it is covered for. If you are unsure what service your radio is eligible to use, contact the service provider for clarification. If your radio is approved under GMRS rules you require a GMRS license. GMRS radios typically include higher power levels than FRS radios. GMRS radios often have detachable antennas as well. When Do You Not Need A License To Operate Two-Way Radios? If you are using a licensed system that is registered and licensed to a family member or employer you do not need your own two-way radio license. Another exception is if you are using a radio that operates on both FRS and GMRS system and you limit your operations to “FRS channels only, using a maximum power of ½ watt effective radiated power and an integral antenna.” There are dual-service radios that operate with higher power using FRS channels 1 through 7. If you do not have a license you can only use FRS channels 8 through 14. What About Radio Usage During An Emergency? If an emergency strikes many different people require access to two-way radios. In this case there are exceptions to the rules. 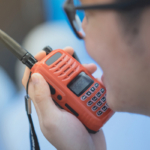 Once you have the proper license to operate amateur two-way radios you can help others in your community by registering through the Amateur Radio Emergency Services (ARES). The ARES includes a number of licensed amateurs willing to volunteer their equipment and qualifications in the instance of an emergency.